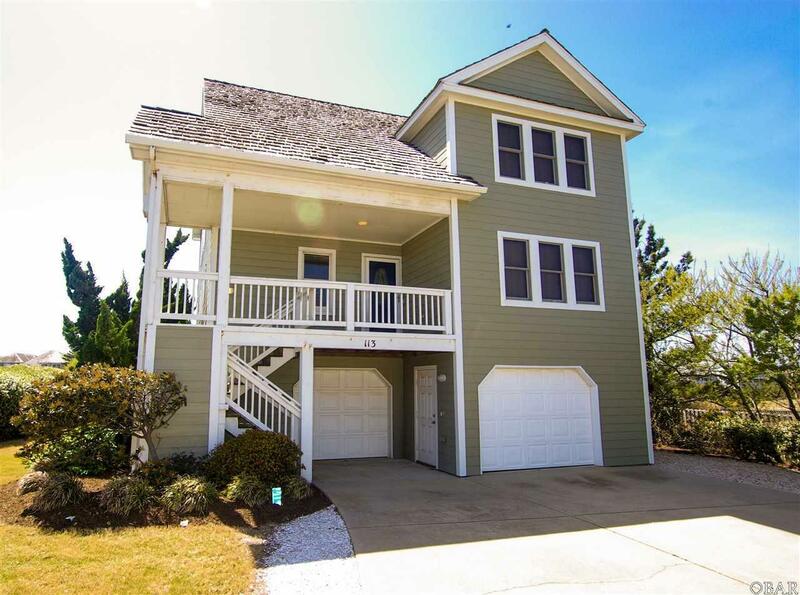 You must see this beautifully furnished, custom designed coastal home located in the sought after Village at Nags Head. This home has everything you could want including a reverse floor plan to showcase the views! Beautiful sound views, upscale furnishings, 3 livings spaces including a ground floor game room, two wet bars, an elevator, granite countertops, gorgeous hardwood floors, a huge two car garage AND a high elevation X flood zone (no flood insurance required). This home has NO carpet! The original owner spared no expense and even installed a geo thermal heating system which will save you $$. There are an abundance of closets and space for everyone to stretch out. The home is also handicap friendly. The master bedroom is located on the top floor and has his and her vanities along with a large tub and shower and you'll find 3 bedrooms and 2 full baths on the mid level, along with a mid-level family room. The elevator will take you to the ground floor with a full bath, game room, and TV area. All this plus all the amenities the Village at Nags Head has to offer including a private beach access (with bath house), two sound side piers with storage for your kayaks and paddle boards plus optional memberships to Nags Head Golf Links and the Village Beach Club which boasts a huge pool and restaurant. Don't miss this opportunity to have it all!